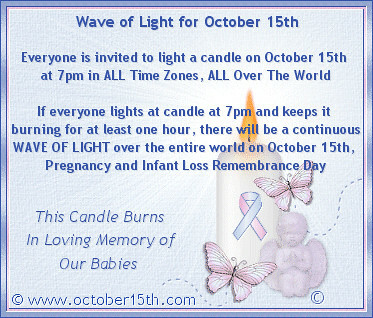 October 15th is Pregnancy and Infant Loss Remembrance Day around the world. 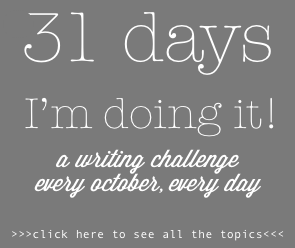 This entry was posted on Wednesday, October 15th, 2014 at 5:47 am	and tagged with infant loss, Pregnancy and Infant Loss Remembrance Day, Pregnancy Loss, Wave of Light and posted in grief. You can follow any responses to this entry through the RSS 2.0 feed. Thanks for this, Christy. 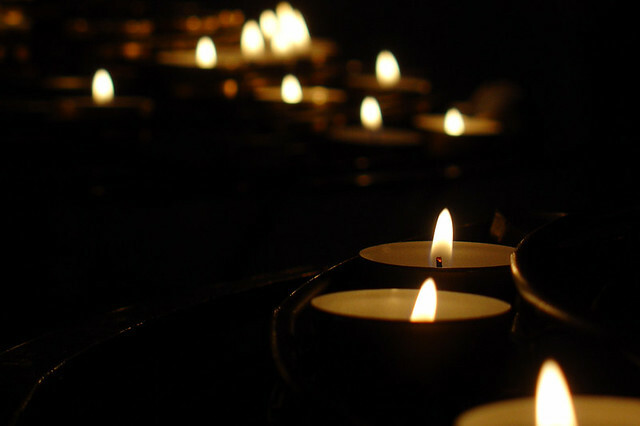 I will light 2 candles tonight – one for Noah and one for Simon. This is a beautiful poem and describes it well. I lost my last daughter in labour full term…she is indeed our bittersweet love…the person we love most, according to my 7 year old. Always with us, and always away. I’m so sorry for your loss. Thanks for sharing your pain in this beautiful way.